An original book in ChessBase format, by IECG Master Dr. Manuel Gerardo Monasterio. It will be eventually updated (from 2005 till today) with the inclusion of new bibliography, meanwhile it remains a handy and complete survey of the Chigorin Defence. Looking forward to the updated version. 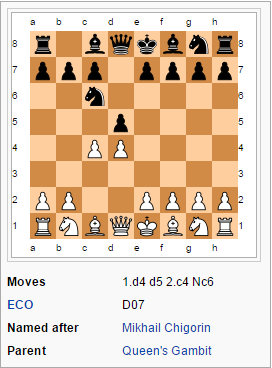 Would be nice to have the pgn available too so that I can make a ChessGUI book from it.